Traveling in November is usually reserved for long, stressful journeys through crowded airports to spend time with family around a big stuffed bird. And we can’t fault anyone for reserving their November vacation budget for Thanksgiving. But if your family isn’t doing a big dinner this year, or you’re not feeling the whole over-the-river-and-through-the-woods thing, November is a fantastic month to travel for yourself. Fall is still in full swing in some parts of the country, and warmer southern destinations aren’t packed into high season quite yet. Things like harvest festivals happen all month, and the good cheer of the holidays is already becoming infectious. From Dominica to India to Eastern Pennsylvania, here are the best places to travel in November, even if you are still planning to go home for Thanksgiving. The first Thanksgiving may not have happened in this colony, but hey, details. Virginia still has that autumnal colonial feel that’ll get you feeling pilgrim-like all month long. Kick off the month at Richmond’s Fire, Flour and Fork festival from November 1st to the 4th, where you’ll eat and learn from the top chefs in that city. 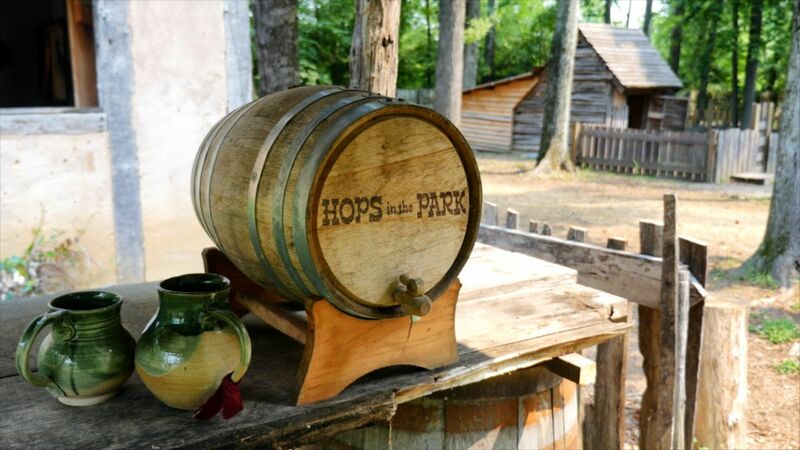 Get in the fall spirit a week later by sipping cider and mead at the Hops in the Park festival on November 11. Closer to Thanksgiving, you can celebrate like the early Jamestown settlers at the Food & Feasts of Colonial Virginia from the 22nd to the 24th. You’ll discover how they gathered food, preserved it, and learned to cook from the Powhatan Indians. After, learn all about the women who helped develop early Jamestown at the TENACITY: Women In Jamestown And Early Virginia exhibit at the Jamestown Settlement. Though travel to Cuba has cooled off in 2018, it’s still a fascinating and beautiful island to visit, even if you’ve already been. 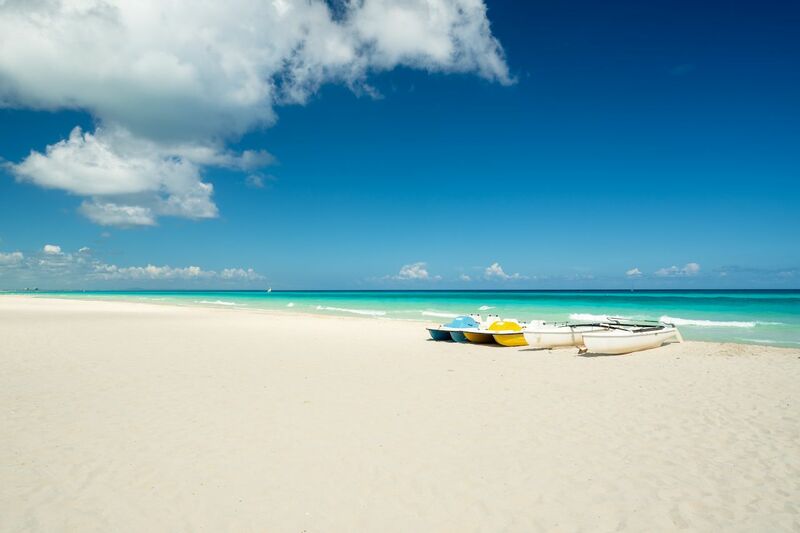 Though Havana is the big draw, November is an ideal time to get out to some of the beach cities like Varadero and Cayo Coco, where it won’t be as oppressively humid as during summer months — or as crowded. Visitation requirements can be complicated and logistically frustrating, but Intrepid Travel offers an organized people-to-people cultural trip that takes you to several cities throughout Cuba and takes care of all the visas and other red-tape stresses for you. The nine-day tour begins on November 17 and again on the 24th. November 25 also marks the two-year anniversary of Fidel Castro’s death, which will be commemorated island-wide and is sure to be a fascinating experience. Sometimes a quick fall getaway is about finding tranquility and charm, and this little county between Allentown, Pennsylvania, and Trenton, New Jersey, might be one of the most unheralded fall escapes in the northeast. 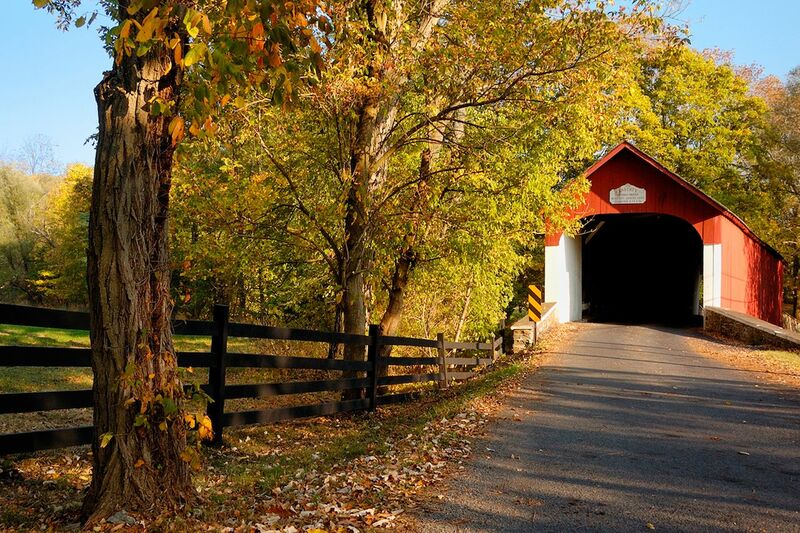 The dozen covered bridges that dot the county make for some fantastic photo ops on a last-chance fall leaf-peeping trip. The annual Apple Festival in Lahaska on the 4th and 5th fills the cobblestoned streets of this 18th-century shopping village with smells of pie and cider, giving the place the warm, homey feel you want in a country escape from the city. The weather still should be pleasant enough to get out and enjoy the views at High Rocks at Ralph Stover State Park, where you can rock climb to vistas over Tohickon Creek and the valley below. A year ago, this island looked lost to disaster. Hurricane Maria effectively wiped the island out for the latter part of 2017. 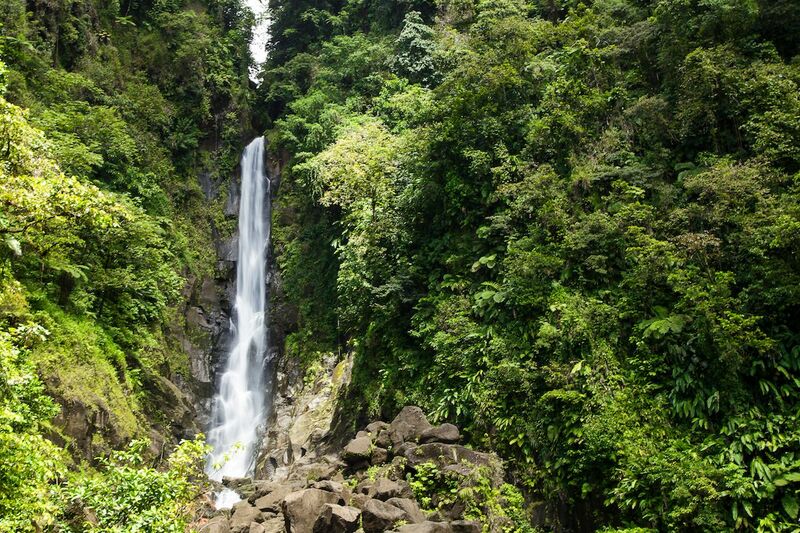 But because the epic nature on this tiny island is its main allure, Dominica’s bounced back amazingly quickly. If your idea of vacation is hiking through thick tropical jungle to crystal-clear rivers and 200-foot waterfalls with nary a soul around, nowhere in the Caribbean compares. Hikes here are the most challenging in the region and involve climbing up muddy cliffs and traversing steep ravines, with a payoff of your own little slice of paradise. Spots like Boiling Lake and Freshwater Lake are the famous ones, but almost anything along the 115-mile Waitukubuli National Trail will both challenge and awe you. Relaxing after a brutal day just got easier, too, as the fabulous Secret Bay resort and its six private villas reopen on November 1 after closing due to hurricane damage. 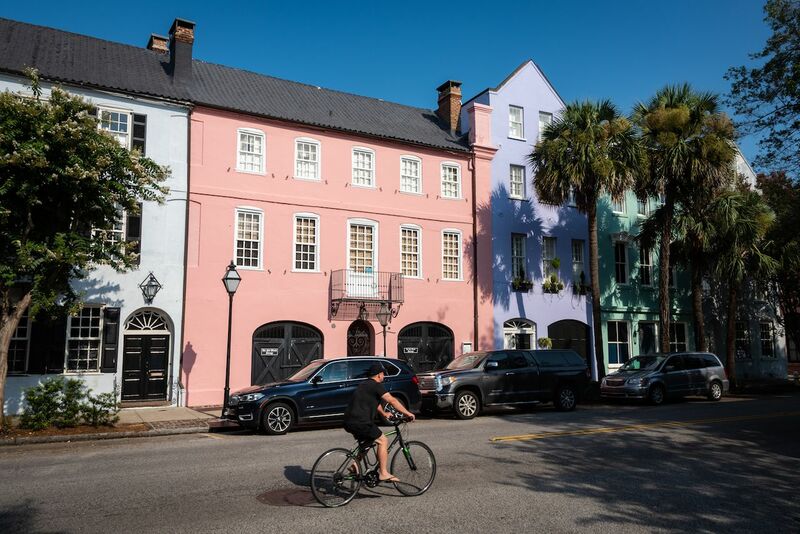 Not that there’s ever really a slow season in America’s favorite city for colonial southern charm, but as people gear up for holiday travel, Charleston gets a bit of a breather from the usual rush of tourists. This allows locals to get out and enjoy stuff like live Bluegrass music at the annual Harvest Festival on November 3 or eat Mac and Cheese from 25 different local restaurants at the Mac Off from November 5 to 6. For a more sophisticated South Carolina food experience, hit the Lowcountry Food Feast on the 11th for a full afternoon of farm-to-table creations. If you start fiending for Christmas as soon as the weather turns cold, Charleston gets you your fix; the Holiday Festival of Lights begins on the 11th and runs through December. Or if you just didn’t get enough creepiness in October, the King Charles Inn is offering a Secret Charleston Life of Edgar Allan Poe Package, which includes a two-and-a-half-hour walking tour of Poe’s Charleston haunts and a couple of Raven-themed cocktails at the bar. Good news for anyone who wants to explore the subcontinent of India — WOW has some insanely cheap flights there right now. Perfect timing, as the balmy month of November is an ideal time to make the trip. The famous beaches of the Andaman Islands are getting ready for the high season, which means you can visit the swimming elephants without hoards of people. 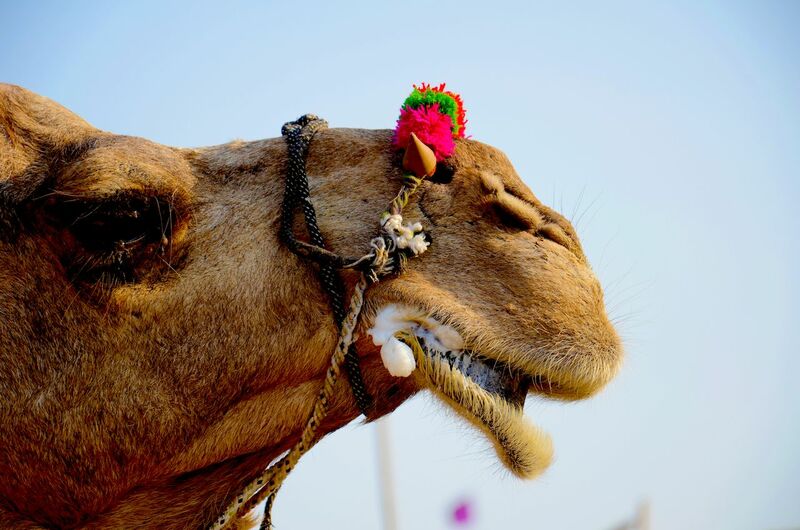 November 15-23 brings the annual Pushkar Camel Fair to Rajasthan, where 50,000 camels and 200,000 people descend on the city for a week of mustache competitions, sports, circus acts, music, and, of course, camel races. If India’s frenetic, chaotic pace might deter you from making the trip, Red Savannah offers tours to the festival that have actual itineraries and bring you to events you might not otherwise see. Though technically hurricane season isn’t over yet, its last month is typically uneventful as cooler temperatures hit South Florida, and Mondays at the beach become a regular thing. 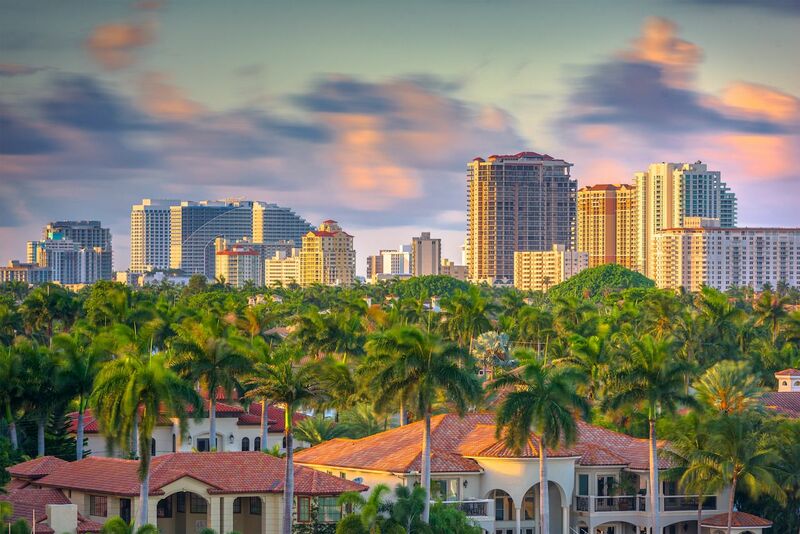 You can take a water taxi through this massive city of canals, floating past opulent mansions and historic old homes on your way from Ft. Lauderdale’s booming downtown to its luxurious beaches. Stop for a waterside meal at Stephen Starr’s Mexican spot El Vez at the W, or try the best rum drinks in Florida at Burlock Coast. If you still want ice cold AC, the Ft. Lauderdale International Film Festival runs from November 2nd to the 18th. Or, head here at the end of the month for the Riptide Music Festival, where you can see Panic! At the Disco, Sugar Ray, Cold War Kids, and other A-list bands from November 30 to December 2. Unlike in the US, where it seems every week has three made-up national food holidays that aren’t celebrated by much more than two-for-ones at your local sports bar, National Pupusas Day is a big deal in El Salvador. 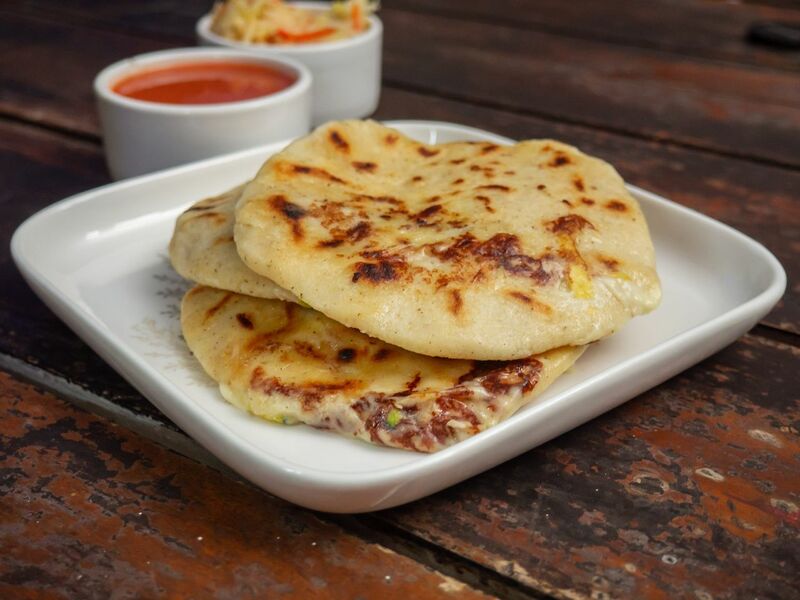 The second Sunday in November (the 11th for 2018) celebrates the country’s national dish, pupusas, which are thick corn tortillas stuffed with a savory filling. A massive pupusas fair hits the streets of San Salvador, and thousands of locals make a pilgrimage to Olocuilta, home of the world’s largest pupusa. That isn’t the only reason to come to El Salvador this month, though. The last Saturday of the month, November 24, is the San Miguel Carnival. As the name implies, it’s a massive parade with up to a million attendees full of music, food, and possibly a drink or two. It’s a venerable Salvadorian Mardi Gras kicked off with a mass to honor Our Lady of Peace. They didn’t call the movie Pirates of the Caribbean because they wanted an excuse to film in paradise. Pirates were a real thing in this part of the world, and no Caribbean destination does more to celebrate pirate culture than the Cayman Islands. This month, the islands hold Pirates Week, which is actually a month-long festival on Cayman Brac, Grand Cayman, and Little Cayman. 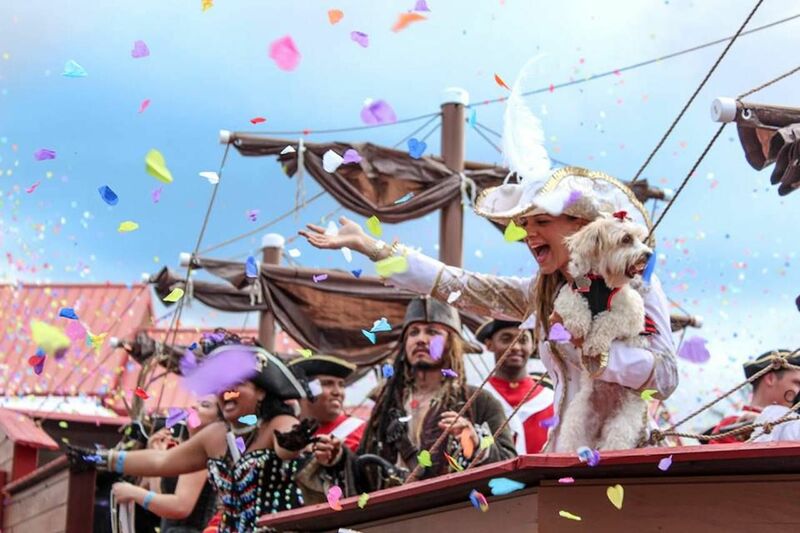 Highlights include big pirate parades every weekend, mock pirate invasions, and plenty of rum-filled parties. Even if you’re not big into pirates, the festival offers other stuff, like a food festival in Grand Cayman on November 9 and 10, a 5k swim, and the To Hell and Back 10k run along 7 Mile Beach on the morning of the 11th, plus loads of street dances and fireworks at night. Big country, yes, but if you’re making the trip this far south you might as well see it all, right? Buenos Aires is just peeping into spring, which means the café culture of one of the most gorgeous cities in South America will be at its fullest. Jacaranda flowers cover the city in bright highlights of purple, and hotels are a little cheaper as the country moves from ski season into summer vacations. 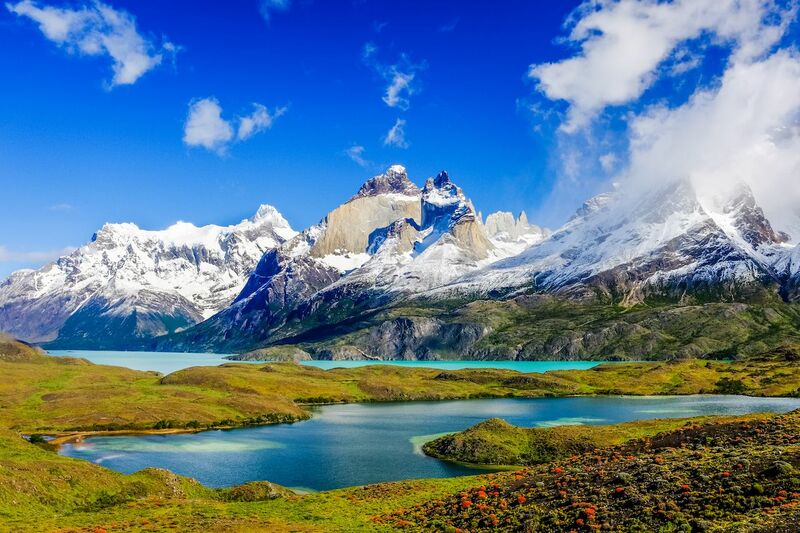 Down in Patagonia, wildflowers dot the remote landscape, and the unforgiving winter weather has subsided for better hiking and easier exploring. And in wine country, the ideal weather makes for perfect sipping and relaxing in the shadow of Aconcagua Mountain.